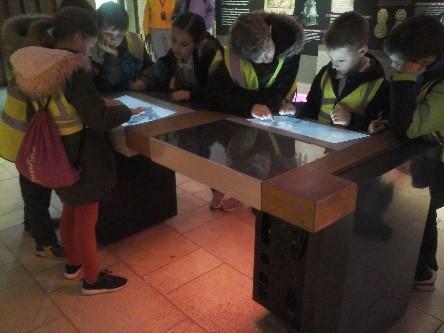 African Elephants had an exciting (although wet!) day at Battle Abbey in Battle, Hastings. 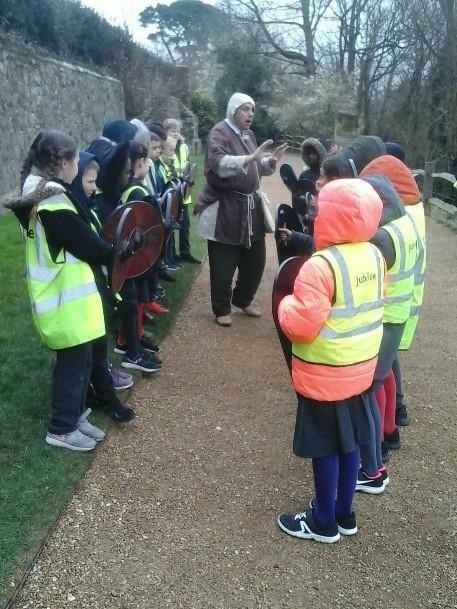 Alongside our topic of ‘1066’ we visited the site, where an Abbey was built by William the Conqueror to commemorate the death of King Harold and many men in the famous battle of Hastings. We took in all of the beautiful sights that this venue had to offer whilst touring the buildings, many of which are now in ruin. We stood on the exact spot where King Harold was killed! At the top of the battlefield we looked down the hill towards where William would have stood with his well thought out formation. 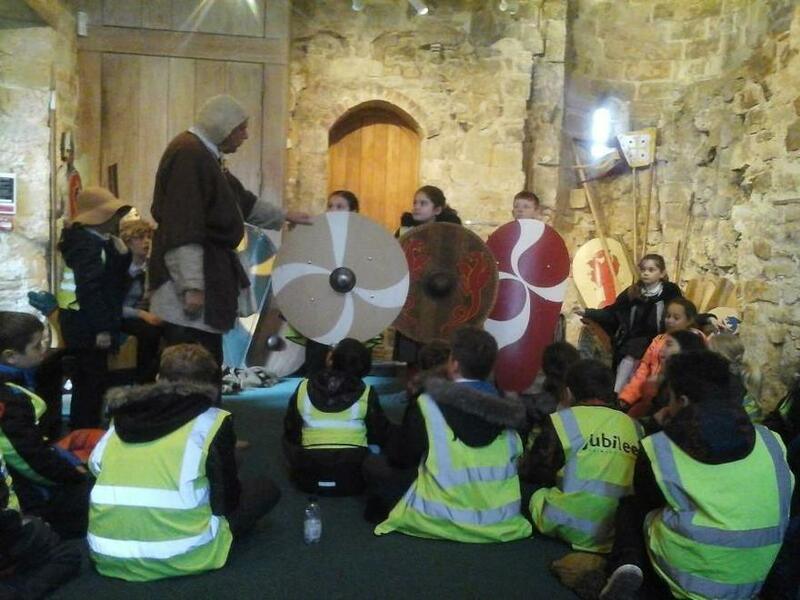 We re-enacted our own battle, some of us took the roll as the Normans whilst others were the Saxons. We were given shields, similar to the ones that would have been used. The equipment between the two sides were extremely different. The Saxons produced a shield wall, whereas the Normans’ shields were designed more for those on horseback. 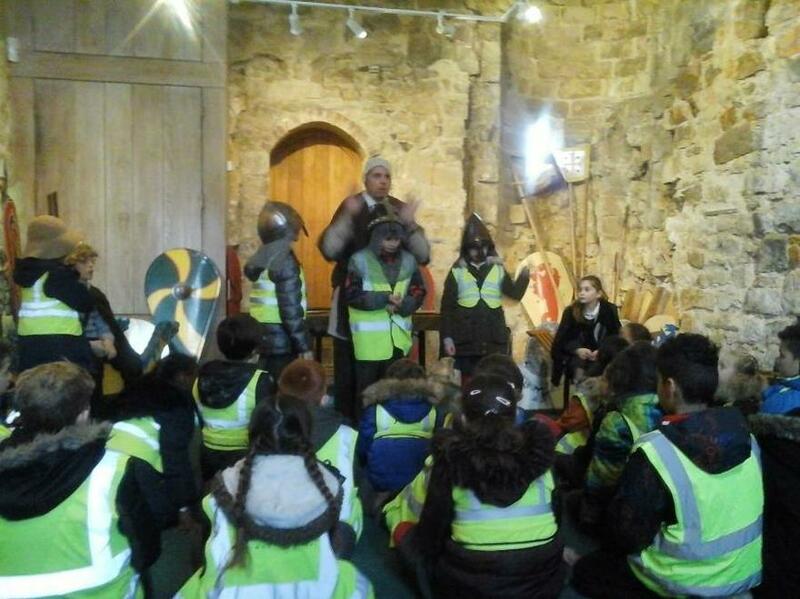 We even got to sample some of the extremely heavy armour!